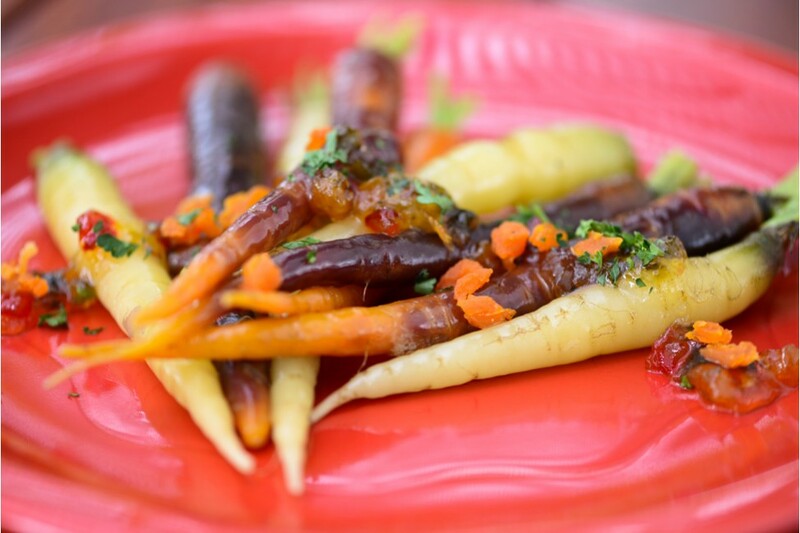 Steam carrots until fork tender. Transfer to a stove top skillet and heat to medium high. Gently stir in the preserves and butter to coat the car-rots as it melts. Continue stirring until carrots are evenly coated and sauce is hot and bubbly.